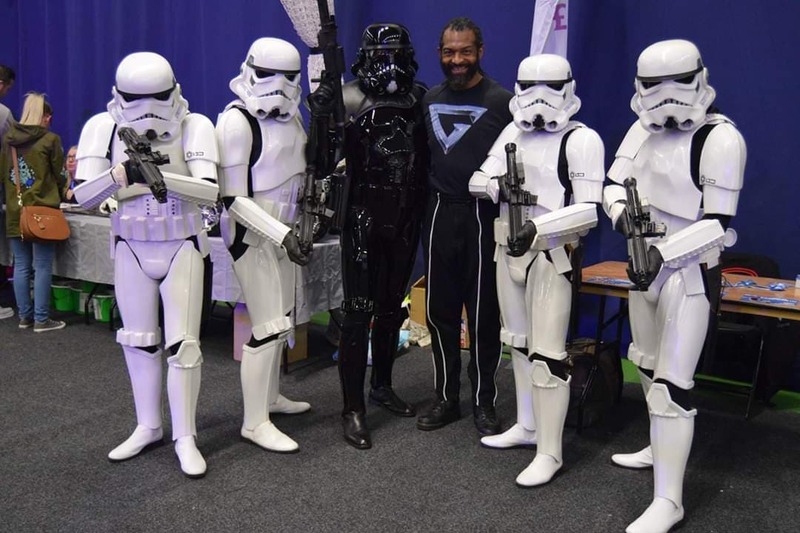 The 501st UK Garrison was out in force this weekend at Stars & Cars 2019 in Lancashire - one of our biggest non MCM, Comic Con or film Premiere events on the calendar for our members, and our biggest charity event so far this year... and whilst we await the final total, the profits and collections counted so far equate to over £17,000 for the weekend. Stars & Cars 2019 was organised by two of our very own UK Garrison members, Colin Wilby & Mick Croskery. The annual event is intended to raise funds for Derian House Children's Hospice. The hospice provide respite care and support to children battling life limiting or life shortening illnesses. 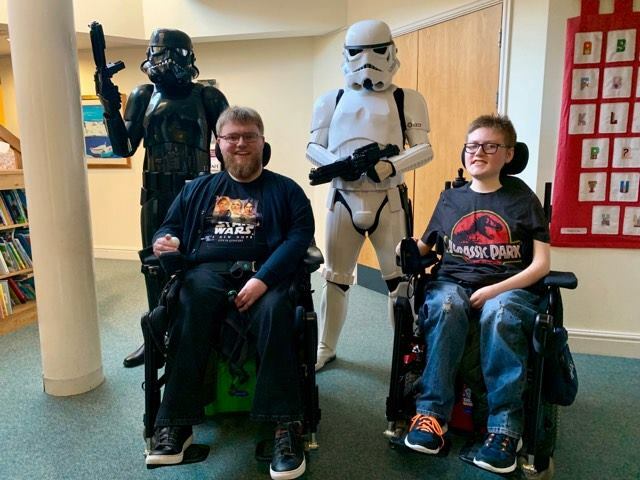 Whilst providing ticket holders with a fantastic movie & TV themed experience, we also invite many children who benefit from the services the hospice provide, to help create some amazing memories for them and their families. The UK Garrison played a fundamental part in the show, entertaining the crowds and providing great photo opportunities, alongside our Rebel Command and Reel Icons members, Rebel Legion and the R2 Builders. 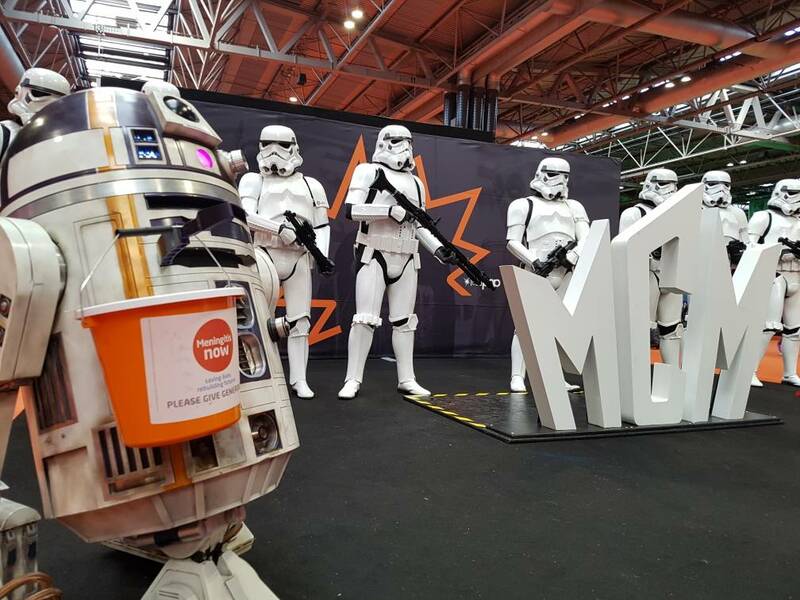 Our chosen charity to support at the March 2019 MCM Comic Con weekend was Meningitis Now - a charity very close to the hearts and minds of our friends at R2 Builders, whose member Ian Yates sadly lost his teenage daughter, Joanna to meningitis not so long ago. 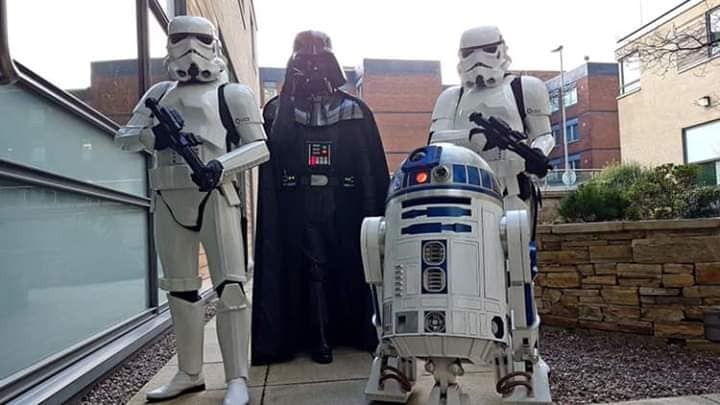 We are delighted to announce that across the weekend the UK Garrison along with our friends at R2 Builders, Rebel Legion, Mando Mercs, the 15th Cyber Legion, and Silver Sabres, we raised a whopping £2,531.53. Ian Yates said "Wendy, Denholm and I are elated at the love, care and support shown by so many from across all the groups at MCM Birmingham and it is an experience we shall never, ever forget. We are very, very grateful for everyones efforts, I know that Kirsty and the rest of her team at Meningitis Now will be delighted. Thank you so much once again for this incredible gesture and show of support." And we would like to say thank you to everyone who donated over the weekend. Your support as ever is very much appreciated. 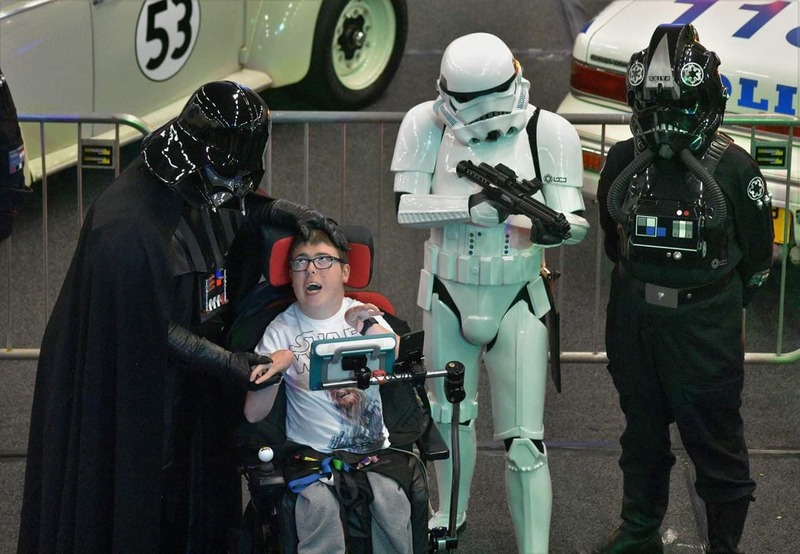 The phrase “Bad guys doing good” was demonstrated yesterday by members of the 501st UK Garrison. 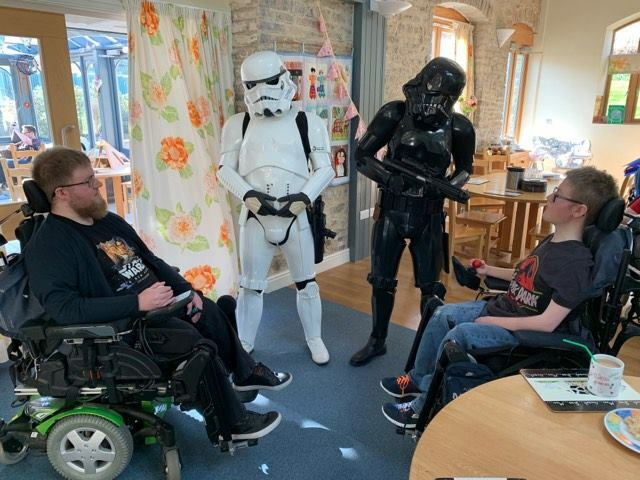 A last minute request to attend the Children’s Hospice South West to visit Jake and his younger brother Max was undertaken by two of our dedicated troopers. 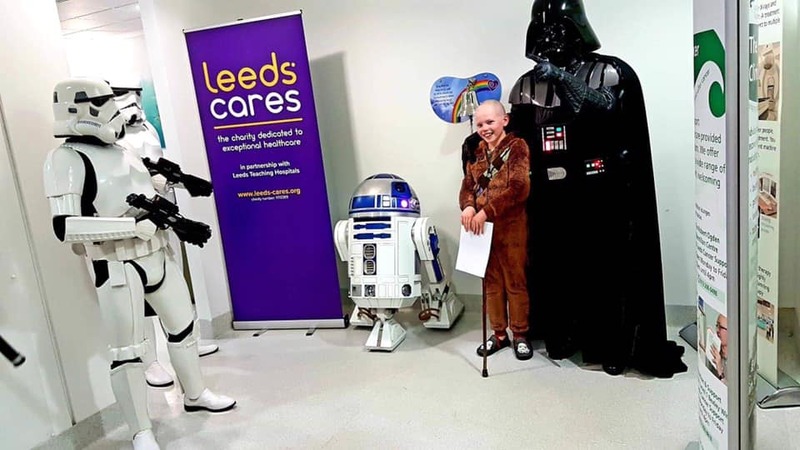 Jake is a massive Star Wars fan and we were there to make his last weekend staying at the hospice a memorable one. The brothers both have a fantastic knowledge on Star Wars and Jake even putting our troopers to the test at times, and he is also building his own Mandalorian helmet! Troopers in attendance were Duncan Perry (Stormtrooper) and Darren Winter (Shadow Stormtrooper), photos and spotter duties by Rikki Teml. 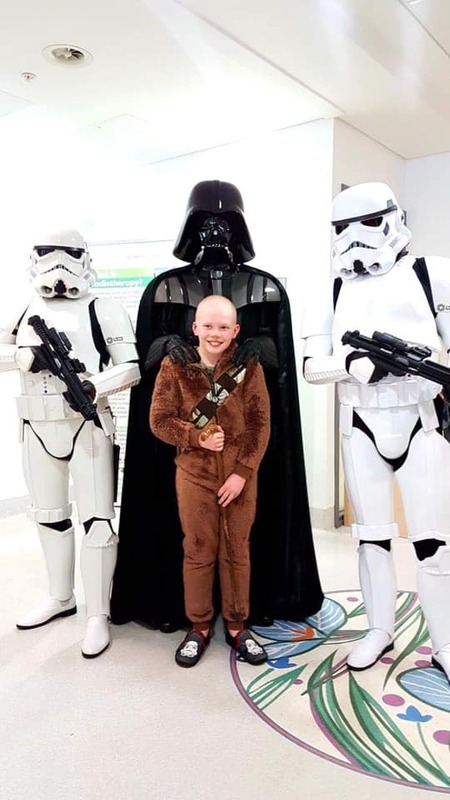 John Radcliffe Hospital, Kamrans Ward had a visit oday from the Empire's Finest! !, assisted by Spiderman. Kamran's Ward is for children receiving treatment for cancer and also one of the UK Garrisons directly supported charities. Stormtrooper Darren Thorne TK16473 was supported by Adrian Tegg with Reel Icons Mark Brooks as Spiderman. 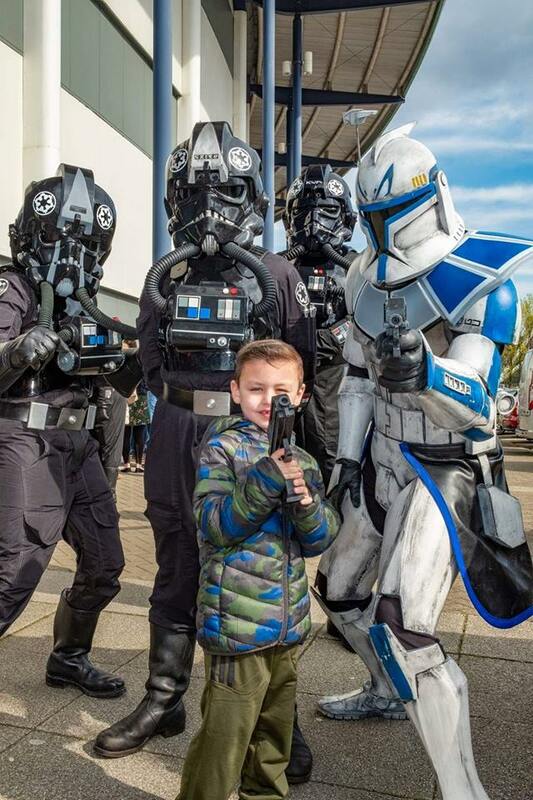 A small squad of UKG troopers were on hand recently to support and help the fundraising for the Ronald McDonald House Charities fundraising day in Goole. RMHC is a charity that helps children in hospital and their families by providing free 'home away from home' accommodation. The event was covered in the local news papers. Troopers on hand were Wayne Winfield and Julian Smithson (Stormtroopers), Matt Johnson (Darth Revan) and helper/spotter on the day was Andrea Johnson. 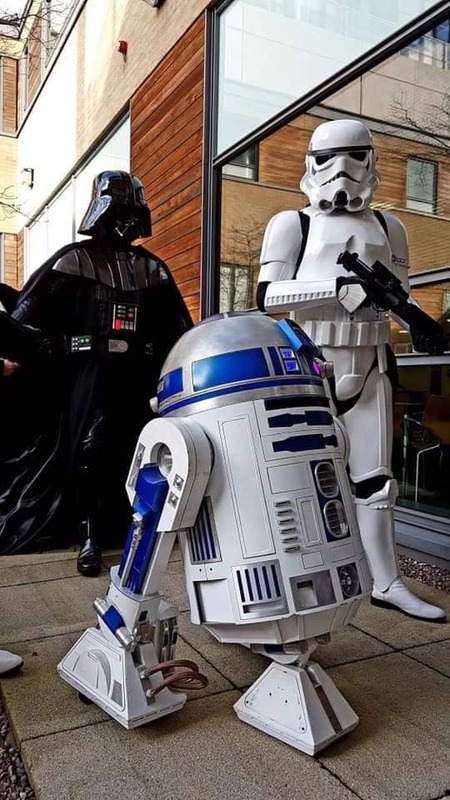 @rebellegionuk @FestivalPlace Yes please... Could you just stick them in the nearest droid and we will find them. @rebellegionuk @Kyyanno Don't you mean the First Order?? ?